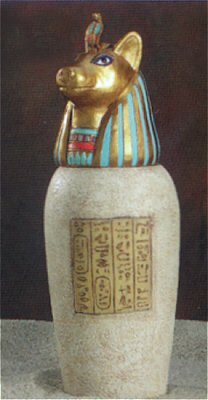 8" large canopic jar made of cold cast resin. This item has been discontinued by the manufacturer, we still have a few left. Death History -Embalming,Live Burials and more. On Sale!